Usually your Kenmore stove shows the time of day or a program on the display. But when the display shows an error code, you need to determine what the problem is before you can fix it. 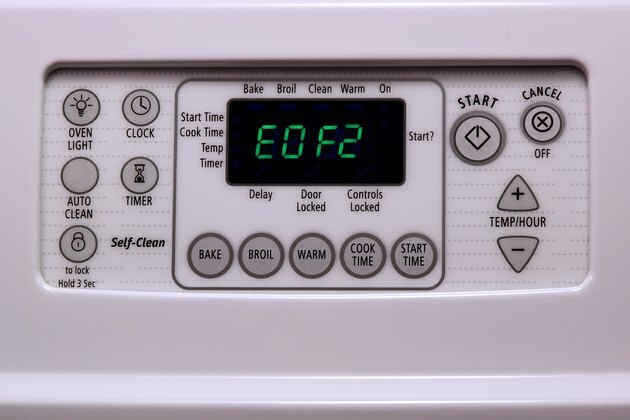 For example, error code is "E0 F2" usually indicates a stuck key pad on the electronic oven control, or EOC. You usually can fix an E0 F2 error code on your own, but you might need to call in a professional. Press and release any key pad when making a key pad selection. Do not hold down any key pad for longer than three seconds. An E0 F2 error may occur when you hold down a key pad for several seconds. 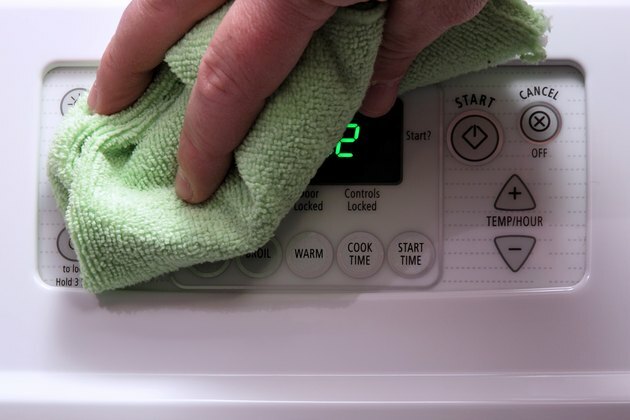 Take a clean, damp cloth, and wipe the control pad well to remove any food or residue, and then dry gently with a cloth. Once the key pad is dry, make a new selection. 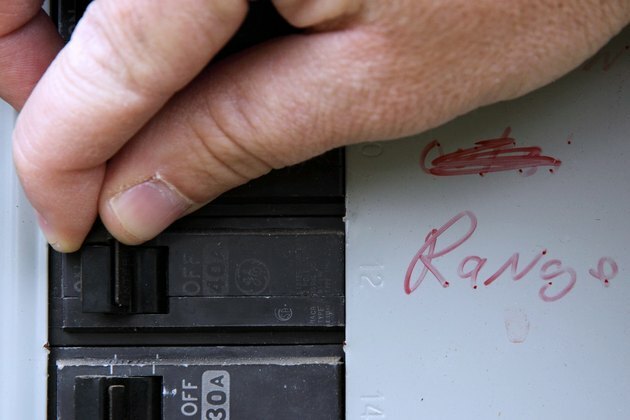 Occasionally a key pad can get stuck because of dried-on residue from food or liquids. 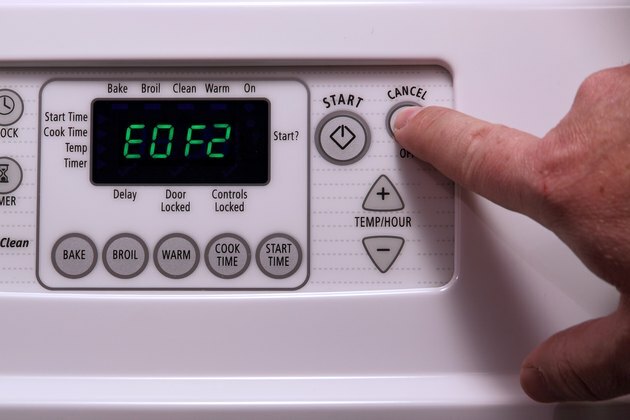 Disconnect power to the oven and wait 30 seconds, then reconnect power. This provides a power reset and may end the error code. If the power cord is not accessible, disconnect power through the circuit breaker, wait 30 seconds and then restore power.